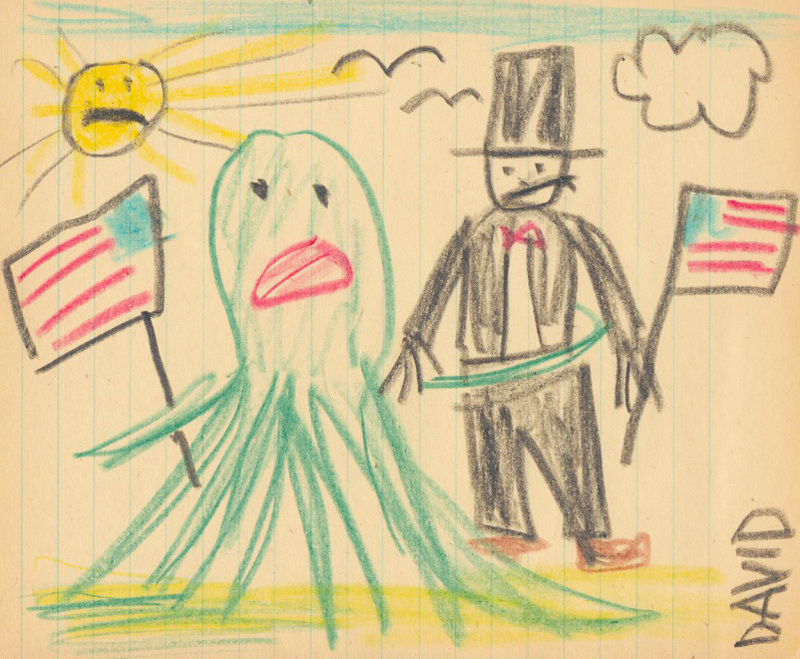 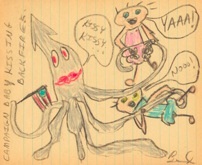 Poor Mojo's Classic Squid: Squid "Visions of the Giant Squid: Acquisitions of the Giant Squid Presidential Library; Schoolchildren's Drawings of the President (part 2)"
"President Squid kisses babies on the campaign trail." 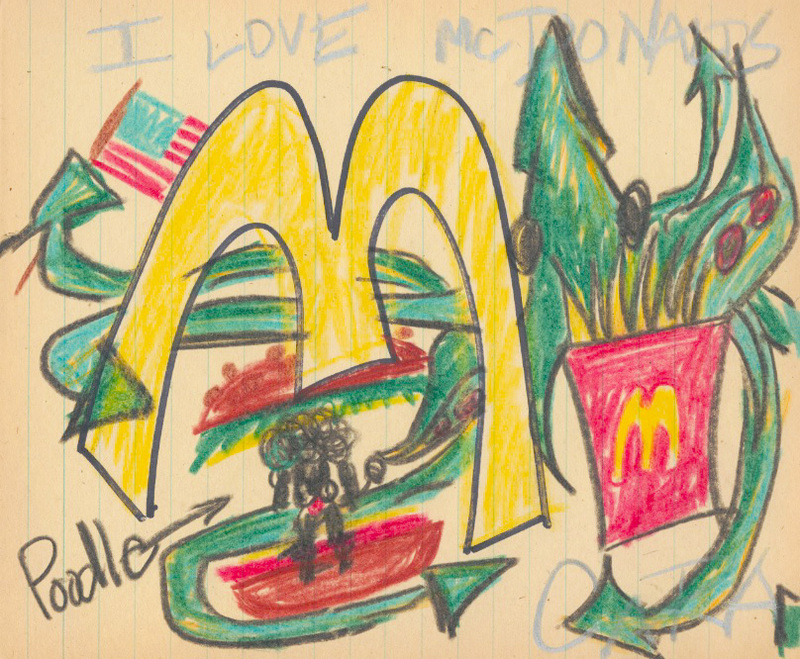 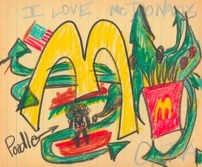 "The President likes McDonald's because McDonald's is better than everything." 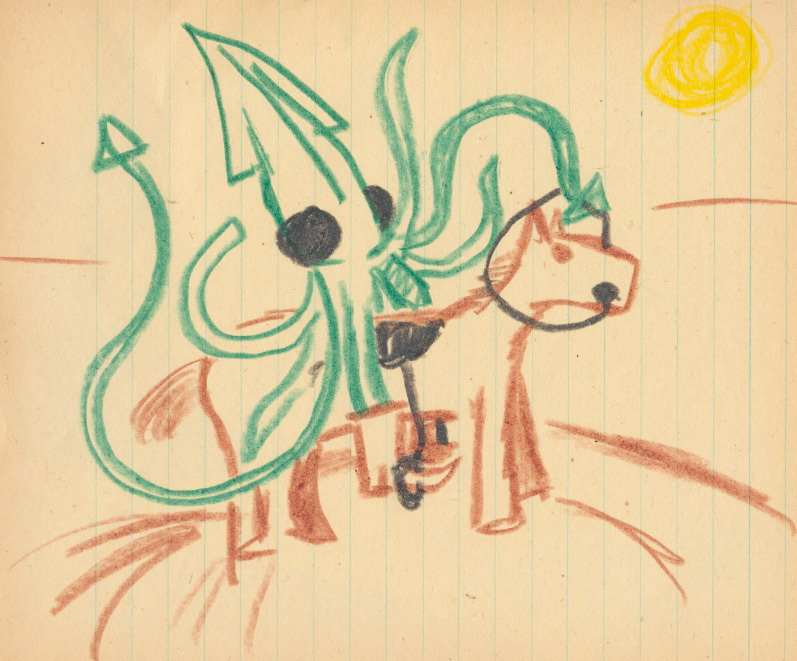 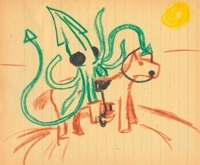 "President Squid rides a pony." 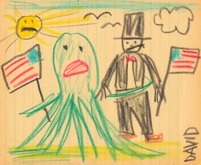 "President Squid hugs President Lincoln. 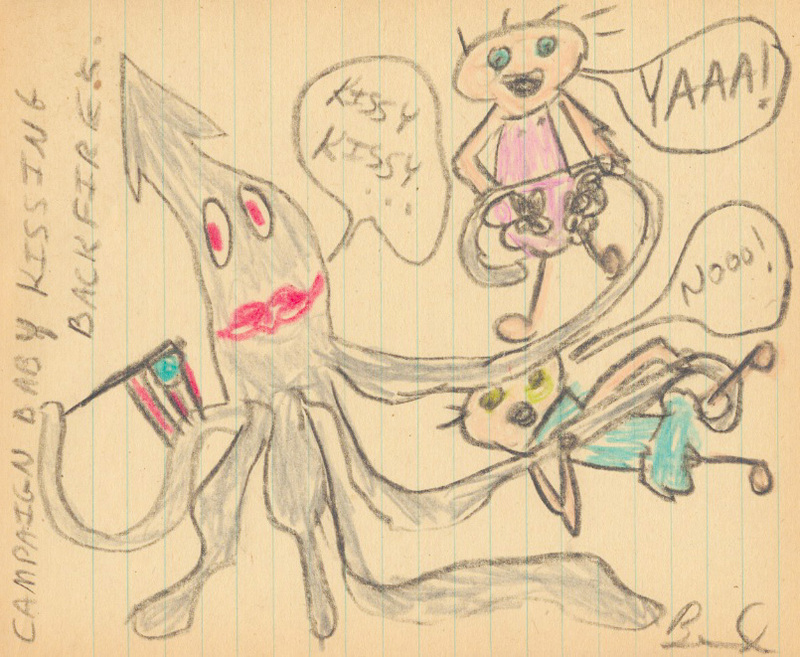 I love you President Squid!"